ISLAMABAD: More independent candidates are set to join the Pakistan Tehreek-e-Insaf (PTI) after which the numbers will swell to 169 in National Assembly (NA) and 182 in Punjab Assembly (PA), the party’s spokesperson Fawad Chaudhry said on Wednesday. “Two more independent candidates will be joining our party,” he said. PTI and Pakistan Muslim League-Nawaz (PML-N) are locked in a tug of war over forming the government in Punjab. Chaudhry said fifteen newly elected independent Members of Provincial Assembly (MPA) have already joined PTI. Regarding the formation of the PTI-governments-to-be both in centre and Punjab, he claimed that his party had the support of some 169 members of National Assembly and 182 members of Punjab Assembly. In Punjab, some 26 constituencies had been opened for recounting, he added. While the party won 116 National Assembly seats in the elections, Chaudhry said that with the support of independent candidates and Pakistan Muslim League- Quaid (PML-Q), the number swelled to 169. To another question about the selection of Punjab chief minister, he said PTI Chairman Imran Khan would take a decision in that regard. Every person should be treated equally according to law, Chaudhry added. The PML-N won 129 seats in the Punjab Assembly during the recently conducted elections while the PTI won 123 seats. The Imran Khan-led party is all set to form government at the centre, in Khyber Pakhtunkhwa (KP), Balochistan and Punjab. In order to attain a simple majority in the National Assembly, a party must hold 172 seats but the PTI has to let go of six of its seats because three of its leaders contested in the elections from a number of seats. Imran Khan has to let go of four seats while Major (r) Tahir Sadiq and Ghulam Sarwar Khan have to vacate one seat each. Similarly, the party has yet to decide if former KP chief minister Pervez Khattak will vacate his provincial or national assembly seat. Furthermore, PTI ally PML-Q President Pervez Elahi also has to let go of one seat. 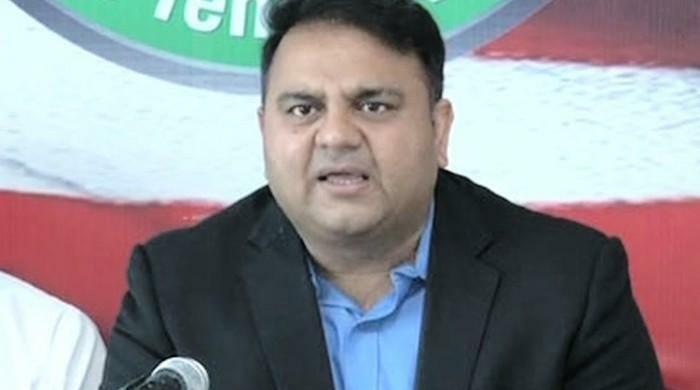 Fawad Chaudhry also said that his party, after forming the government, would address the issues of the people of Karachi on a priority. To a question, he said the reservations expressed by the Muttahida Qaumi Movement-Pakistan (MQM-P) about the recounting of votes would be addressed by the PTI chief who had promised to open eight constituencies of Karachi.